I am Ken Ellison, owner and operator of Ellison's Machine Shop. 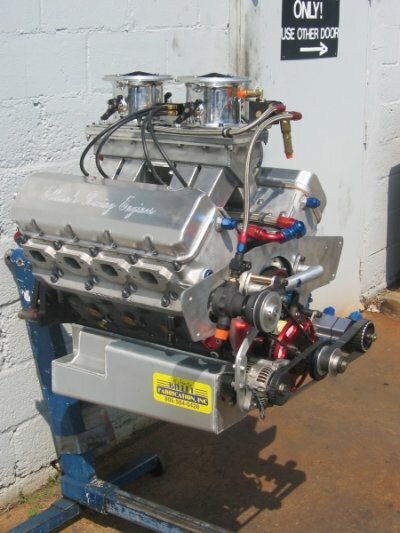 Ellison's is a full service machine shop specializing in custom engine design and building. I am probably best known for the success my shop has achieved at the drag strip but my first love is and always has been muscle car engines. Restoring a muscle car engine is more than just engine building. It is an art form. It is an honor to be a part of preserving automotive history. A lot of our work also comes from the local new car dealerships on late model engines that are still under the manufacturer's warranty. We have repaired engines as late model as 2015 and we have repaired engines as old as 1907. I have been working in a machine shop since I was 15 years old, and I have been a part of many awesome projects. Just to name a few: wild turbo charged imports, supercharged strokers, nitrous powerd alcohol injected big blocks, dirt track cars, racing hydro planes, and monster torque turbo diesels, and much more! I have been truly blessed to spend my whole career in the industry that I love. If you give me a chance at your business you will find I take the time to talk to my customers, and I am an intense listener. I want to know all about your project and what I can do to help you make an informed decision about your project with the aid of my 35 plus years of experience. The attention to detail, and quality we will show toward your project will show our apprecieation of your choice of Ellison's Machine Shop. We ask you to please tell your friends. Stay Updated! Follow us on Facebook for things happening, and things to come at Ellison's Machine Shop!